Affiliate marketing has become one of the top ways for earning an income online. Used by bloggers and online marketers, this source of passive income works by suggesting services and products. The idea behind affiliate marketing is that you suggest and promote other products, of which you earn a commission. Wikipedia describes 4 different parties involved in affiliate marketing: the merchant, the network, the publisher and the customer. The merchant is the party is the creator, the seller, the brand which produces the product. 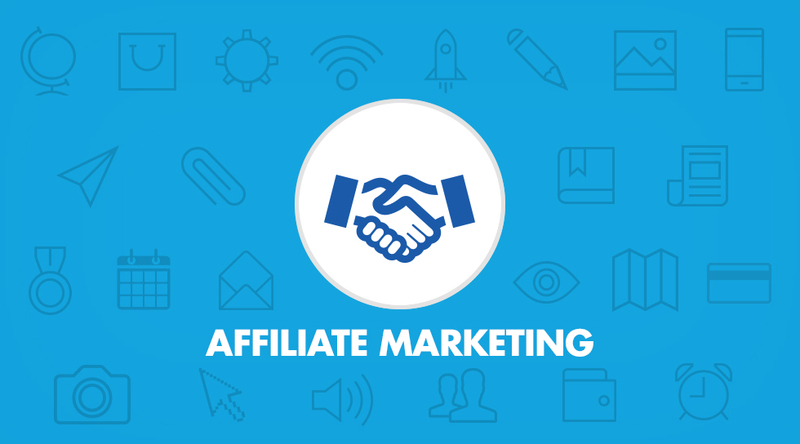 The Affiliate party can be a single individual or entire company, which promotes one or multiple products and tries to attract potential customers. The consumer or customers are the one who makes the sales going while the network acts as the intermediate link between the merchant and the affiliate. Affiliate Programs are the arrangements in which the creator or the brand pays the affiliate party a commission to send them traffic. These sites or blogs posts links referring to the merchant gets a commission for directing traffic. The payment is paid according to the agreement which is usually based on the number of people directed or the number to people who bought from that link. Affiliate Programs spring off from the need to work behind the scenes of the links. They need to keep a track of the number of people who have clicked on the link, the number of people who end of buying or performing something from the link and the number of people who see the merchant’s site banner link at the affiliate site. Also, it is important to keep track of the original arrangement between the merchant and the affiliate to make sure each gets the money as per the agreement. Everybody knows Netflix- the popular streaming service to watch movies, tv shows, and even video-on-demand. But does Netflix have an affiliate program. It might sound lucrative earning money just by referring to your friends and family, but Netflix canceled their affiliate program years ago. To put simply, they are expensive and don’t really need one. The affiliate programs are often started to bring in more customers through referrals. 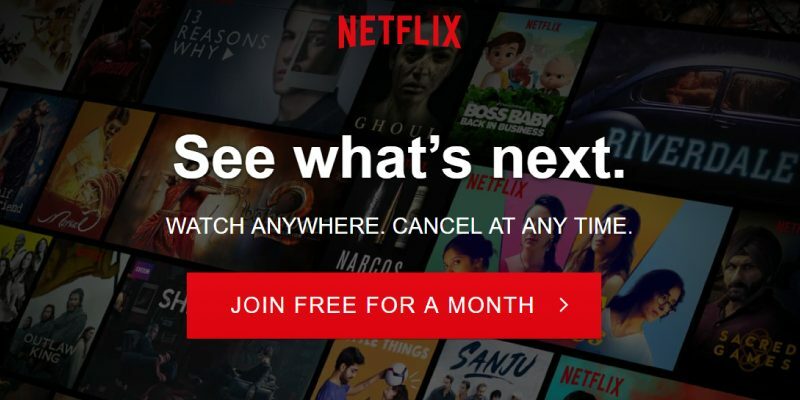 When Netflix canceled its affiliate program, the company was still experimenting with their streaming services and sending out DVDs to customers. They started with big bucks paying around $10 on each new referral which could earn a lot of money to the affiliate marketers. If you ask if there is any chance of Netflix re-starting their affiliate program the answer is yes. The company still host a HasOffers platform advertising system which means the company does have the capacity to restart it if it wants. To make it clear, Netflix current doesn’t have any active affiliate program and nor planning to launch one. Searching for one will be a wild goose chase. Surely, they have the technology dormant through HasOffers but it could be used just for tracking private advertising. Netflix is a streaming service so we will be looking into other streaming services in this article that provides an affiliate program. Some of them may be confined to a country or area, in which case you should try the other ones. Hulu is an American company that provides live and on-demand TV, movies, originals and more. Users are provided the option to stream on unlimited screen at the same time at home and three on the go. However, unlimited screens come at an extra cost. The service offers a referral program that you can join from this link. You can earn money by recommending the service to your friends and family and getting rewarded when they subscribe. For every new subscriber that signs up from the referral link, you will be getting a $10 Visa Prepaid card. In the accounts page, click the Get $10 link from the Payment Information section. You will be then provided with a unique referral link that can be shared with others via email or social media, through which they can sign up for the service. Your referrals have to use your personal link to sign up on the web or from mobile in order for you to get rewarded. You will be earning Visa Prepaid cards for each referral after they are charged for their second month of Hulu. You can track the status of your referrals and rewards though Ambassador, the third-party administrator for the referral program. On the dashboard, Earned is the total amount in rewards that you will be receiving if all the active referrals awaiting approval becomes paid subscribers for two months or more. Awaiting Approval are the pending awards for any referrals that are yet to meet the requirements of the program. Awaiting Payout means payouts that have been approved but not processed while paid to date is the total amount in rewards that you have received till date. Sling TV is an American over the top internet television service owned by Dish network. It provides a variety of add-ons including country and language specific. The service is available only for the US region which may cause hindrance if you are from another country. With the average cable costing more than $100, using SlingTV can not only save money but also earn in the process. SlingTV has a refer-a-friend program that gives both parties a total of $15 back and $5 off your subscription for the next three months. Here, you will not only earn money, but you may also save off some of your friend’s cash too. To refer a friend, you have to sign in to your account in the official site and click on the “Get $15” button to send the link to your friend via email or other social media or via text message. After receiving your link, your friends will immediately be able to start customizing their own channel line-up and begin streaming. After the 7-day free trial finishes and they subscribe to SlingTV, the $5 discount will be immediately applied to your SlingTV monthly bills for the following three months. One $5 discount is applicable for per month billing cycle up to 12months. Users can’t combine multiple discounts within the same billing cycle. Philo is a live TV streaming service aiming to compete against the likes of Sling TV, PlayStation Vue, DirecTV Now, YouTube TV or Hulu with Live TV. Instead of replacing a full cable subscription, it offers a small subset of channels which lets it keep the price down. However, the major disadvantage is its lack of sports content. Philo also comes with a referral program that offers a $5 credit on the bill and $5 off your friends in the first month if they sign up using your referral. However, if someone cancels before their payment for their first month of Philo, you will not get the referral credit. Also, keep in mind that referral credits do on expire as long you maintain an active Philo subscription. To register for the Philo referral program go to this link. After finding your unique referral link on your Referrals page, you will able to copy and share via text, email or social media. fuboTV claims to be the leading streaming subscription service for live sports and entertainment. The affiliate programs provide a unique way for your website or app to link hundreds of live games, leagues, awards shows, and TV series while earning revenue from the subscriptions. fuboTV offers the most comprehensive soccer offering in the market with the option to enjoy UEFA Champions League, Europa League, Copa Libertadores, FIFA Club World Cup, English Premier League, La Liga, Bundesliga, among others. Other than soccer, it offers other season games of basketball, football, Nascar, Formula 1, Cycling, and much more. Moreover, it offers hundreds of weekly shows and movies along with 10,000 of VOD content. However, it may come as a disappointment to many sports fan that it doesn’t offer some major sports network like ESPN. To apply to fuboTV Partners Program, click here and fill the required details. After approval, you will able to obtain marketing assets and links that you can send to your friends. You can promote fuboTv from anywhere in the work. So here is our final list of the best alternatives to the Netflix Affiliate Program which was canceled some years ago. The list consists one of the best and popular streaming services and you will earn top bucks in no time considering you are successful in your referral. Try your hands on them and be sure to leave a comment on which Affiliate Program you found to be the best.